Monrovia – Samuel Kofi Woods raised a lot of eyebrows when he decided to accept a role in the Ellen Johnson-Sireaf-led government in 2006. That decision for many supporters and admirers of the Human Rights activist may have tainted his credentials, especially in the wake of report of corruption, nepotism and greed which characterized the two terms of Africa’s woman head of state. In this exclusive interview, Attorney Woods addresses the decision many say still haunts him as he assesses the current political dispensation, his political future and the first year of President George Manneh Weah. FRONTPAGEAFRICA: What have you been up to. ATTORNEY SAMUEL KOFI WOODS: I don’t think I’ve been quiet. I have been working very hard, I’ve been working on a number of issues, probably because I have not been on the radio or in the news a lot but since I resigned in 2013 from the Ellen Johnson-Sirleaf-led government, I raised a number of issues even while I was in government. You know during my commissioning ceremony as Minister of Public Works, I raised issues about the level of disdain and arrogance and in 2011 particularly when elections were held, a citizen was shot on the compound of the Congress for Democratic Change, I was a member of government, I condemned the act; I condemned the closure of Power Television/Radio Station. So, upon leaving I continued to raise those issues which I have the strongest passion about. The National Oil Company of Liberia (NOCAL), the former President and I had public disagreement on the extent to which the NOCAL collapsed, we also had issues about what the directors at NOCAL were receiving in benefits. So, there were a host of issues. I had another issue with government when I threatened to take the government to the ECOWAS Court over you arrest and imprisonment. There were a number of lawyers taking sides but in recent times, I have strengthened both local and international engagement with the ECOWAS Court. I continue to, I continue to work on questions of accountability, we are working on a number of land rights questions, several human rights questions were involved in the Harry Greaves case, the case of Michael Allison, Victoria Zayzay and many other cases I’ve been involved in. I continue to remain consistent in what we want to do. We continue to strengthen the law practice, the human rights environment, we continue to work for peace and human rights and constitutional democracy in Liberia. So, that remains our main focus. In recent times, I have raised a number issues particularly relating to the alleged violence in District No. 13, I went to visit and identify with Philip Wesseh at the Inquirer when we heard about the resignation of some of his staff and what appeared to be an alleged sabotage of his newspaper; I also identified with Rep. Yekeh Kolubah to show concern about what happened there when he invited some young children for a Christmas party and in all of these things – today I went to visit Henry Costa – I paid a solidarity visit to his office to demonstrate that although we may not agree with everything that someone says but we will defend their right to speak and their right to freedom of speech and we want that to be very clear that in our governance structure, we must let the government know that in protecting respect for human rights, we must remain consistent. When we speak about freedom of speech and freedom of the press, we are not saying that everything the press says we agree with but we are defending their rights to do so. We are defending the fact that people must respectfully disagree in such an environment and not to use violence as a way for redress. FPA: Looking at the current state of affairs in Liberia, there are a lot of people who say it is too early to criticize the government. From what you have been observing so far, when do you think is the right time to criticize the government. WOODS: No one can determine that. In fact, from the day of the seating of the government, from the day the government is inaugurated in January, every citizen, every Liberian have a right to speak and disagree with policy. So, there’s no timing place on it. There might be an attempt to be hypocritical here – and suggest that you need one year – or five years. My belief is that from day one, there must be critics of the government, there must be disagreement with the government – and all issues and views must be put on the table and people must be heard – and that is the greatest mark of leadership – to begin to be tolerant to accept the opinion of all sides. I am a bit disappointed that critics are being referred to in some quarters as enemies of the state – or people who are seeking jobs. Every Liberian has a right to seek job anywhere and I don’t believe that those who criticize are haters of the government. In criticism, government can find opportunity to improve the lives of people. Through criticisms, the government can measure tolerance and I think, unfortunately, there are troubling signs that that is not happening- and we all need to come together now, to ensure that we will be able to encourage measures of tolerance. I’m a bit disappointed; why? There were two issues that challenged the government of Ellen Johnson-Sirleaf and she admitted to that, one, corruption, two, not doing enough on reconciliation. It had always been my expectation that this government take these issues seriously and begin to adopt measures. Every time a former government official or someone who worked in government before says something, reference has been made to the fact that this happened in government during Ellen Johnson-Sirleaf time. Ellen Johnson-Sirleaf government cannot be the standard. If we have criticized her then we have advocated for change, then we cannot use the past regime as the standard by which we can be judge, we should demonstrate our capacity. The next thing is that the CDC, George Weah has to realize that they are no longer in opposition. The leaders of the government need to account for their stewardship, rather that blaming the past or advocating or commenting on the fact that that was the way it was and they can repeat what happened. I believe that on corruption, there have been allegations and accusations of ruthless enrichment on the part of this government and some officials which should be looked into. This is why the Liberia Anti-Corruption Commission; the General Auditing Commission and integrity institutions need to be strengthened and develop the political will to begin to address some of these issues. It’s been one year now I’ve not seen any audit of any of the administration officials or any ministry – and I am increasingly concerned that in spite of all the reports of alleged corruption, the government should be concerned about ensuring that the institution of government with such responsibility will do the right thing. I’m a bid disappointed with that. Assets were declared, they need to be verified. Effective now, LACC, GAC should begin a process of finding these assets and present a report to the Liberian people. We had a concession review committee appointed a year ago to review all of the concessions. That was a major policy intervention by this government. We don’t know whether that process has been completed, we don’t know the lessons learned, we don’t know the recommendations made but the government has been proceeding in committing our resources – unfortunately. So what lessons have we learned. So, these are the issues we are concerned about. On the issue of reconciliation, I’m not convinced that we are getting more united as a nation. I think the political divide is getting wider, the social deficit is getting wider and the ethnic divide is getting wider so we need to get back to the table and look at the recommendation of the Truth and Reconciliation and help to bring our people together. Statements that are being made by officials in government appear that they are still in opposition and they have to fight. George Weah was elected President of Liberia. He was inaugurated as President of Liberia, he was not elected as President of CDC. When you talk about unemployment in Liberia, it is about all Liberians and not just CDC. George Weah need to reach out because the strategy for tolerance is limited. He needs to do more in that area. FPA: You had a somewhat ceremonial departure from the Sirleaf government. What were the circumstances that led you to that and exit? FPA: Prior to your arrival in government, you were a very high-profile activist speaking truth to power. Do you think your presence in the Sirleaf government tainted that a bit? WOODS: Well, the jury is still out. There are those who believe that – firstly, there are those who do not think I should have joined the government and I have taken their views very seriously too. They believe that by entering it had an impact because there is also collective guilt in the Liberian society. No matter what you do as an individual, the fact that you have been associated with government – even if you were a minister – you must take some responsibility. Even where there were internal disagreements, even where we made some public comments over the way the government was running and people who love me, who respect me and who supported me, certainly have that view. But it was necessary to go into government, to understand and to be tested. Sometime you sit on the other side of the table too long and you’re never tested or never come under scrutiny. We did what was consistent with our values and our conscience. Nobody can say that a minister in the Cabinet of President Ellen Johnson-Sirleaf I used the power of government atrociously or my discretion was used to abuse people. Nobody can demonstrate that I went on the street brutalizing people, putting them in prison – no one can say that and I have that record. The other thing is, in government, the first move we made was to demonstrate that we could bring new value to government. At the ministry of Labor for example, we rejected gifts when we were given gifts, I was criticized by Liberians for rejecting gifts on Christmas day which was the norm in Liberia. But we stood the test of time. I traveled to Geneva when I was minister of Labor, I brought back to the table more than U$US4,000 dollars and was returned to government as excess or what we called the balance from what was given as per diem. So, what we were trying to do was to set example. After work, we never used government cars, only when we had official duty. As a result of that, we returned excess fuel, when we were leaving government, we returned the fuel to the Liberian people. On the Firestone and many other labor issues, we developed and set the pace for the decent work act. I’m not happy with the final act because I was not there, but we initiated the process to what we have now as the Decent Work Act. We also repealed decree that forbid strikes, that prohibited strikes by workers in this country, we repealed the law. There were other issues on child labor to improve the environment workforce in Liberia but what we did was to develop the decent work act which in fact, should now be the major point for the labor sector in Liberia. It was short-lived but Firestone, for instance, you know that in the negotiations for Firestone I protested on a number of issues. Today, we have some minimal improvements – we have a high school in Firestone, we thought we could get three and I thought those discussions would have continued after I left the ministry. When I look back today, I can say it was worthwhile. It was worthwhile because we were able to demonstrate to the Liberian people that the values and conviction we espouse, we demonstrated them when we were challenged. Public Works, the same thing, we did what we could do. 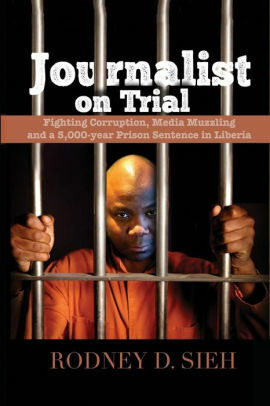 Now, if there are allegations as I said, the only objective test would be the institutions set up by government to vet us, to test us, to scrutinize us and to audit us – and that have been done twice – so the jury is out and we did our best, we did not betray the Liberian people, we did not betray their trust, we did the best we could. FRONTPAGEAFRICA: Looking back at how the Sirleaf government turned out, especially regarding corruption, greed, nepotism and what have you. Do you have any regrets? WOODS: Well, a mixture of obvious regrets and confidence. Regrets not because of participating but regrets of how it turned out to be with all the criticisms – even before I left the government – that were happening. Certainly, there were some bad things that happened. I think we began to stray away from the fundamentals of the government, of integrity for some time. I think we could have done better. We could have done better in addressing the problems of the employment of young people, on the issue of integrity regarding corruption. Obviously, we could have done better on reconciliation. So, there are regrets but in terms of joining other Liberians to serve our country – and the individual commitment that we demonstrated? No, I don’t have regrets. It was a good thing to be part of the government and let me tell you one thing – I joined the government on the day of Sirleaf’s inauguration. I didn’t join the government later on when I had the opportunity to see what was happening. So, we joined the government hoping that we will begin to evolve and develop policy and we did. On the issue of declaration of assets and the issue of the policy of the passage of laws regarding the Anti-Corruption Commission, the General Auditing Commission and various integrity institutions? Yes! We made progress. The fact that those institutions exist, we cannot undo them so easily and we have to strengthen them. There were questions of the labor sector. There were a lot of work done in the labor sector. There were questions about the legislature, there were somethings that were done. In terms of the press, there were challenges with the media but I can tell you that up to the time I left government, we insured that certain things were done and we were part of the voices to ensure that the rights of our people protected and everyone can say that about what was done. So, there were some good things that were done, there were some wrong things that were done – and there were some things that were outside our purview – and we must also celebrate some of the good things that set the basis for a smooth democratic transition for the first time. Our recent history, we’ve had civil crisis, we were able to have a smooth transition. In spite of all the failure, there was a peaceful transition. We had a first ruling party defeated and the opposition came to power. It’s fundamental. We need now to consult the gains that have been made so far. We have some regrets but there is a mixture of pride for participating in the government. We have a mixture of good, the bad and the ugly – there cannot be perfection but we must be judge for giving our best to our country. I think that’s all we can do. Give our best. FPA: Let’s turn our attention to the issue of roads. The current government has made road development a top priority. You were the minister of Public Works for a period during the previous government. There are some concerns that although the Sirleaf government did some road projects, a lot of the small community roads were left unattended. How would you look back on your legacy and why do you think the previous government did not make this a priority? WOODS: Well, I don’t know how the projects are being done. But you know in politics sometimes, people are moved by emotions because I know that during our time. I will speak to my time but also to what I know about the infrastructure of the leadership. When we came to office, the entire Monrovia there were potholes. You couldn’t drive from City Hall to 9th Street without spending almost an hour. SKD Boulevard, you know we had a problem when I took over, Caldwell Road that had been that had been a dusty road all the time, we put in solar light and then did the bridge. We had Nezo to Parker Paint, we had Duport Road to Soul Clinic back roads done by funds from the government. Now, there were other roads and interventions that were done in conjunction with the World Bank but government had to pay its share, the city streets for example. We were able to do the road to Buchanan, we were able to do the road all the way to the border with Guinea, all these roads were being done. But let me tell you something important for this discussion, we realize that there is some distortion to who initiated what in terms of roads. Before I left Public Works, we developed a five-year plan to look at the entire country – roads to Sinoe and other places are roads that were assessed and evaluated for interventions. The road people are using now between Sinoe and Grand Kru was a forest. No one could drive from Sinoe to Grand Kru to Barclayville, we opened that forest. It was a forest, we opened it up and put in a road. So, when people talk about roads and say that nothing was done, I’m surprised. People are not talking about the road between Gbarnga and Lofa counties. That road, I had discussions with the Kuwaitis for example and you know that there was a ground-breaking ceremony by the Sirleaf administration before she left. People are talking about the SKD Community now, you will see the plan. When Gyude Moore came, Gyude Moore even went further – the SKD Boulevard, the Chugbor Road and others. So, what you see happening is certainly a continuation of what was conceived by the Sirleaf administration, it was a continuation. We need to be cleared about what is being continued – and what has been initiated in terms of an original conceptualization by our government, demonstrate a commitment to the people and through continuity. We cannot debate the fact that a good government will continue what is good but that information is not correct and I have documents to that effect. The Gardnersville Road for instance, the Somalia Drive, we negotiated Somalia Drive and I have documents justifying why they should do the Somalia Drive. They came here to do missing links around the country. We had several meetings with them for more than six months to shift the project from missing link to Somalia Drive. The design was done, work started – I went to Japan and negotiated that, so no one can claim now that all of a sudden it was initiated by them. It was initiated by the Sirleaf administration at the time I was Minister of Public Works when those things were being done. So, we need to set the record straight in this regard. Now, that doesn’t mean that there are not roads initiated by this government to demonstrate its commitment to its pro-poor agenda but just set the record straight. I see people talking about Chugbor, Chugbor was on the list, I hear people talking about Doe Community and building a statue there, it was on the list, Coca Cola Factory and Moses Blah Road all those roads that are on the list were contracted by Gyude Moore in 2016. You understand, even Thinkers Village Road that is being redone with concrete now, these were all lessons learned from our past and they were initiated and started by the Ellen Johnson government in some areas they were contracted out. So, I just think we should be honest and even if we want to debate, we still have to give credit for initiating the process for these roads – but we can also commend this government for continuing some of that. So, they can be commended for doing that – and that’s the reality but to say it was only initiated by them because they have concern and love for the Liberian people, I think is disinformation and disingenuous. FPA: But some critics would say why didn’t the Sirleaf government complete those roads that are now being done by the current administration? WOODS: Because in some cases, the funding was not available – you know, there was no appropriation in the budget and in some instances you have to design the project, you have to work to make sure it is designed and there were cases where there was no money obviously. But let me also say to you, no good government should wait to finish project before it leaves power; no good government. You can Initiate a project, and allow your successor to continue – that is also the value of every good government, to initiate something, to start it and work to see it completed – even if you are not in power. But everyone wants to believe that they are demagogues, that they are in dispensable and they must complete everything they start, it shouldn’t be that way. They must continue and work toward it – and even if they cannot continue, allow their predecessor to complete it. FPA: Let’s go back into history a bit to the relationship between you and the current President George Weah about forming some form of merger. What was the real story behind that? WOODS: Let me also say – in the spirit of full disclosure just say for the sake of full disclosure, before the 2005 elections there were several discussions held with me. I was approached by the Sirleaf people – to run with her, I was approached by people from the Brumskine camp and various camps to be a running mate. I was also approached by some of my friends to contest the 2005 elections. I had several meetings with George Weah prior – and I want to say this because there is information floating around that I was one of the founders of the Congress for Democratic Change – that is not true. Let them not give me that credit because I don’t deserve it and I was not one of the founders. I met George Weah prior to even him being petitioned or prior to the formation of the Congress for Democratic Change. We met – and even met in Florida at his house and others. We met there. Now, there are two persons who continue to work in this government that can relate. Samuel Tweah, James Kollie, the third person that is not in government is a young man called Varney Kennedy who I think is still around. They approached me and requested that I run to be President of Liberia. This was back around 2003. I told them that I had been in exile for several years and I did not think I was prepared to run as President. Few weeks later, some of them approached Weah – and had a discussion – and they had approached me earlier and they felt that I was important. They convened a meeting in Minnesota and we had general discussions about the future of Liberia and we agreed to meet in Florida. I went to that meeting along with some colleagues and friends of mine. We went to Florida and met with Weah for two days, we had a good discussion. In fact, we had a very long discussion – and some of those discussions were centered around the need the contest political power. Weah and I met – the both of us met together, alone, contrary to what people are saying and landed on a note to continue the conversation. So, at that point we did not have a disagreement. Later on, there was a general discussion in which we were being informed that Weah was interested and that he would be petitioned – and the fellas at the meeting said, “look, we cannot discuss anything about leadership here now. We want to promote democracy. It is important to get to Liberia, establish institutions and compete internally – that is the democratic process. I don’t think that was welcomed by some of those around – including Weah himself. So, we split and went our different ways – and since then we’ve never had a conversation in terms of merging or anything else. I don’t recall any further discussion on that issue as far as I’m concerned. FPA: There are some viewers asking or suggesting that it was you and Cllr. Verdier, a former head of the Truth and Reconciliation Commission who initially put the idea of the presidency in the head of Weah. How true is that? I told him, well, you need to know me politically and we need to get to know each other. I don’t get in a political relationship just as a matter of power. There has to be a clear line on principles and values – and we talked and that was it. So, what you heard initially is not true, there is a lot of misinformation. We met in Florida, we disagreed on the approach and how he wanted to pursue it. I didn’t go to him and Verdier did not go to Weah to tell him or encourage him to be president. FPA: You have been in the advocacy role and government for some time now. Some viewers want to know whether you have a political ambition – and is there still a future for you in politics? WOODS: Well, a few years ago, I met a respected journalist Mark Wallace of 60 Minutes and I had an interview on the Sunday Morning Show on CBS in the United States. At the dinner, Mark Wallace asked me a question – just as you are asking me now – “what is your future in politics like – do you want to be president of Liberia?” And I said, no! Mark Wallace said, “you are a young man, I’m older than you are. I’ve met several would-be presidents – and even met Fidel Castro when he was still a young man campaigning in America with Cubans, and I asked Castro the same thing, he said: “always, my options are open, ever say no.” – you never know the future, you never know why you become too passionate about something. So, I want to say in this case, yes, I am interested and I will continue to be involved in politics in Liberia. The last party I was the Liberia People’s Party in fact I was a part of those who founded the Liberia People’s Party back in 1984 when we challenge the ban on politics and I was part of the group. That was the only party I became a member of until I resigned in 1991 when I resigned to take up responsibility at the Justice and Peace Commission. So, I resigned as a member of MOJA (The Movement for Justice in Africa); I never joined the Unity Party, I’m not a member of any political party at the moment. So, yes, politics, obviously. I will be involved in politics in Liberia. We fought blood, sweat and tears in this country. I am proud that we can now stand on our shoulders and have an opportunity to vote. But for too long, many of us fought and sacrificed because we wanted the good for this country. Because we conceded and allowed other people to contest, they think that the history is irrelevant. So, today I hear people insulting the likes of Matthews, the likes of Tipoteh, denigrate them, demonize them. They have a place in history, they must be recognized for their place in history. I hear people criticizing the likes of Alaric Togba, a young man whose future was cut short. He had spent eleven months in Belleh Yallah. This is one of six people who were to be executed by the military government for advocating for the rights of students in this country. Today, there are people whose names are on the ballot because of the blood, sweat and tears and yet they stand on the shoulders of many of us and now want to denigrate them because they made no sacrifice. I’m not one of them. I’m not one of those – and I want to say, we will continue to be involved in politics, we will continue to work to improve the conditions of the lives of people, we will not succumb or surrender to threats, intimidations and fears – we lived in our lifetime, we fought many battles, people did not know that we fought wars – we fought many battles and we won them. So, no battle will be new to us. If people open the battles, they should know we will fight. We will not retreat, we will continue to fight, we will continue to fight them. So, they must stop denigrating the likes of Matthews, the man who fought and paid the price, who’s back was beaten and sever relationship with their families. I was a young man, thirteen years old, I’m 54 now. I advocated for the rights of others, many of us went to jail, many of us lost our families, people were banned from employment in this country, we struggled for this day to come, we struggled for the likes of Weah name to appear on ballot – the price we had to pay, Weah is a product and beneficiary of years of political struggle by Albert Porte, D-Tweh and many other people. It is those shoulders that he stands on today – and he must acknowledge it by demonstrating tolerance, by holding the constitution of this country, by promoting integrity in government, by delivering to the Liberian people the just benefit of our natural resources, by doing the right thing – that’s what we want. There’s no envy, no hate – we did it because we knew that this day would come, that there would be a Moses and a Joshua, we knew it. We made the sacrifice knowing that by the suffering we endure that Liberia would become a better country, not because we want it to be but because one of us, our children, our friend’s children, our relative’s children, a tribesman or somebody, a Liberian would emerge to become President of this country and do good for our people and that all we want is that Liberians will have justice, must have a just reward and I’m happy for people who are speaking out and the torch because every generation must respond to its own challenges. We did what we could do in our time as student leaders at the university. Today, we have friends and comrades who lost their lives because they were identified student leaders – not because they were just Liberians but their lives were cut short. So, we are passionate about what we do, not because we want benefit, not because we want a job, not because we want to loot and plunder but we believe in setting principles and being consistent. So, this is where we stand and those who know us, know where we stand on this issue – some of them want to distort our history, some of them want to deceive people – and they are being hypocritical, we will not be, we will focus on the issues. FPA: Some viewers are asking for you views on the 2020 Senatorial elections. Do you have any interest in contesting? 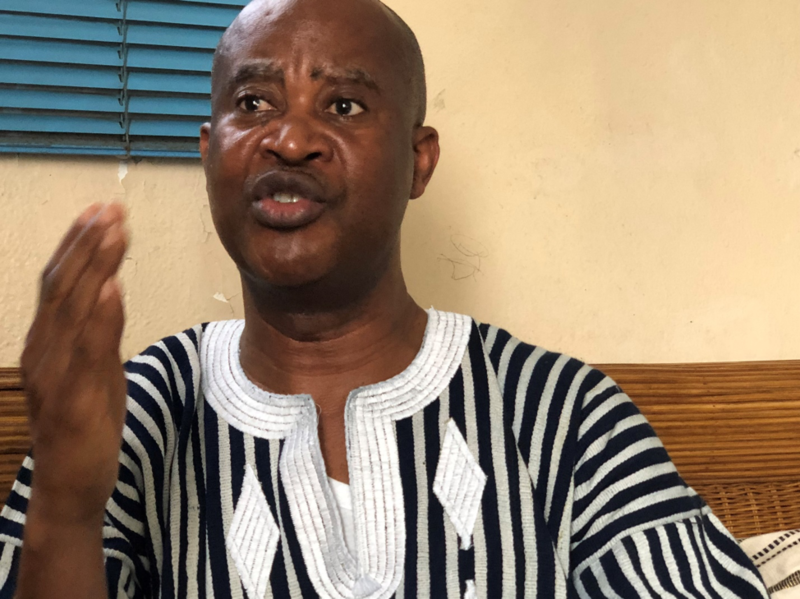 FPA: You are a product of student politics – recently there was a ban on politics at the University of Liberia, the nation’s highest institution of learning. What is your view on that ban? WOODS: Well, I think it is unwarranted. I call it an unwarranted provocation, I think it is very disingenuous on the part of the administration of the University of Liberia because there are ways to handle these things. Normally, the government when they engage in these things, do not find other solutions to the problem – and what prick me is that if we have to do things differently in this country, we cannot adopt the same method all the time, you have a problem with a press man, you sue him or you lock him up, you charge him. You have a problem with the university, you ban them from operating – its’s the same thing that happen – and in 1986 January, I was one of those student leaders who challenge the Doe administration that our rights to student democratic organization activity was non-negotiable. Doe had been elected and inaugurated as a civilian president and we knew that was put in force – and we told him, we needed to directive, we needed to mandate, we needed no decree. We knew that the ban had been put in force. I was elected after the historic ban on student politics – I’m proud of that history and we in this country will not take kindly decisions by university administration or the government or whoever to use the ban on student political activities as a smokescreen to undercut freedom of speech and freedom of association. So, I hope – I’ve learned that the students are holding discussions with the university administration – I’ve learned that very soon, the ban will be lifted – I hope that it can be sooner than later, s that the students can be able to exercise their rights – and we can say to all of you that we promise to work with the students in ways that will clearly demonstrate that they are responsible in terms of what they do but there should be no excuse whatsoever to use or ban on student political activities as a smokescreen to undercut democratic activities in Liberia. FPA: There has been a lot of blame thrown around on the progressives regarding the tenure of the presidency for six years and nine years for those in the Senate. Some people are saying that the progressives are responsible for the term limits we are no seeing for both branches of government. What is your take on this? WOODS: Well, except Dr. Sawyer is wrong but I’ve spoken to Dr. Sawyer and many others on this issue, that the constitutional review committee did not suggest that it was the constitutional advisory committee that was headed by Dr. Kesselly that suggested it – that is something that Dr. Sawyer can answer. But when they say the progressives, I think it has become a lose term now to exploit and misinform the Liberian people and use the Liberian people in terms of information. Now, those who struggle from the seventies – and in history, the likes of Albert Porte – I call Albert Porte a progressive for instance; I call D. Twe a progressive – you understand. I call people who fought for justice – S. Raymond Horrace and others who fought as progressives – are we saying that they are responsible for the problems in Liberia? Don’t we blame the oppressors? Those who oppressed our country and caused our country to have a false stork and rocked the very foundation of this country. Don’t we look at them? Don’t we look at the various institutions erected to undermine the rights of the Liberian people? We have no blamed them and yet we blame a group of young people who saw a vision and the principles and values and the possibility of changing this country in the right direction or advocating for multi-party democracy. Today, we enjoy it. Unfortunately, those who find themselves in various political parties today and are exercising their rights of association, exercising their rights to vote – that in a free, fair and transparent environment, they can contest like anybody else – where every one vote matters, they can say that the blame the progressives. It is on the shoulders of the progressives those ideals they now stand to condemn the very progressives that they talk about. So, I have no regrets for even being identified with the progressive’s history in Liberia. I have no regrets for most of the wrongs that some of us played in the student movement, in the Movement for Justice in Africa, with the Liberian People’s Party, the Progressive Alliance of Liberia, I have no regrets. Now, that does not mean, that there were not mistakes made. There could be mistakes made – young people were very enthusiastic and very excited for the need for change and I think that this administration should learn, take time off, reflect more soberly, have conversations with some of these who have had the experience. Let’s share and talk to one another because I see a misguided youthful exuberance, I see a new excitement, of power and wealth being displayed and I think they need some advice, they need to realize that they need to temper down and cool down a little bit. This country belongs to all of us. You know I have this story about the blind man, when the blind man is dancing on the floor – every now and then you must touch the blind man- that blind man knows there are other people on the floor dancing or the blind man will be starting kicking and hitting everybody from afar. So, you tap them and say there are other people on the floor. The other thing I want to tell them, which I told people on the Costa show today- you know there’s a story about mosquito, the baby mosquito, I read it on the internet. So, the baby mosquito gets out, returns after some time and tell the parents that the outing was a very good one – that they went out- the people were celebrating and were clapping for her- and the father and mother sat down quietly and listened for the excitement of this grand mosquito that went out – and the father just said to the baby mosquito – that you are still young yet. That clap, they were trying to kill you but they were missing you. Your death was missing you, it was not a cheering squad. So, be careful for what appears to be a cheering squad. When everybody celebrates you, when everybody praises you, think twice, think twice. Try and look for people who will be critical of you. Listen to some of the critical voices, you understand because there is a leadership deficit as I always said in Liberia – and you know that at a program in Liberia, I spoke during the Ellen Sirleaf administration and I talked about leadership deficit, I came under criticisms but the deficit is real. There is a leadership deficit in Liberia and we have to come together to help our country. I mean there are young people who are excited about government job, some of them have limited experiences, some of them have checkered past but hey, this is our country, we want the good for this country. We fought, we want to get involved and we want a country that everyone can be proud of and people all around the world can live in peace and have justice and a better life – that is what we want in this country. So, we cannot have kids with grenades in their hands because when kids are playing with grenades in their hands, some of them think it’s a toy. They don’t understand the magnitude of damage it can do to not only themselves but also to people around them and so we need to help them. Our attempts at intervention is to help to participate in the country. All of us share responsibility and support each other to make life better for all of us. FPA: Let’s take a look at the economy a little bit, especially some of the concessions that are being signed by the government. Most recently the fishing agreement with Senegal raised a lot of red flags – some say it is an MOU (Memorandum of Understanding) others say it has not be finalized. What do you make of it especially in the area of West Point where you have some affinity to? WOODS: Well, as you know, my father grew up as a young man in West Point – and I live along the beaches for a long time. Part of the industry of fishing is where I grew up. I tell people I like Po Joe, that’s my best fish – that’s what I grew up eating. But forget about the MOU, the MOU becomes an intent and the intent is the conceptualization that one can actualize. So, the MOU, fundamentally has been initiated as a concept and there’s a willingness on the part of the government as expressed by all the parties, so let’s forget about all that and let’s look at the intent, what did we say when this government came to power, Liberians must take control of the economy, Liberalization, talk about Liberians taking control of the economy – that’s what we said and that is a fundamental principle, what kinds of policy, programs, law that have been imparted to guarantee that Liberians will take control of the economy. All we are hearing so far is the economy being dominated by foreigners. No attempt to begin to look at Liberians and foreigners even coming together to establish joint ventures or joint partnerships or look at capitalization. I mean, there has to be a review of these things first, as a commitment. If we want Liberians to take control of the economy then it has to be demonstrated in action – and what we see happening is not true. I listened to the young Amin Modad, talking about his experience and I saw the avalanche of attack against this young man only because he is stating what is right and not criticizing anybody. Some of us are used to this so for me, I’m not a bit afraid but for a young like Amin Modad, a young entrepreneur, whatever his problem might be, he’s been denied an opportunity to genuinely, equally participate in the government and investment in this country, he expressed it and there is an avalanche of attack. I know from this video and what not, I know what might happen, so I’m not surprise, but I’m used to it. I speak my mind in spite of an attempt to contradict me or misinform I speak my mind, that’s how I am. So, I’m the least perturbed by that. But I’m not convinced because, one, the government has not done enough ensure that Liberians participate in the economy but rather what’s going on will be an attempt to deprive and deny Liberians of fully participating in the economy but of Liberians being empowered as citizens, that’s one. Two, in the absence of lessons learned and pronouncement by the government on the concessions review commission, I’m also worried because I think the lessons learned, the recommendations made should inform us about how to progress on the concessions’ agreement and other things. I know people will say, Ellen made mistakes but I say Ellen is not the standard, Samuel Kofi Woods made mistake, he was wrong, he served in the Ellen government, we are not the standard. The government is in leadership, let this government do the right thing. FPA: Is there any final word you want to tell the Liberian people about your own life in service to this country. There are some people who believe that Madam Sirleaf gave you that job to shut you up and silence your criticisms realizing the threat your advocacy would pose to her leadership? What do you say to those harboring such views? WOODS: Well, let me say. As a young man that came from a very humble background, a lot of people know me. I was in the struggle from a very young age, I went to jail. I was banned from employment in this country, people associated with me were dismissed from their jobs. I’ve paid a price in Liberia. We have certain values and have never been compromised and will never be. Prior to working in government, I worked in the Catholic Church. We did what we could within the institutional realm, we worked hard in this country to bring peace and to bring democracy and respect for human rights, we have had the opportunity to transcend beyond the villages and towns, we are respected and admired around the world. Madam Sirleaf never silenced me. She knows and everyone who worked in the government knows. Liberians who are honest will know that even July 2006 when the mansion was gutted by fire, I was the government official who criticized the fact that Morris Dukuly was dismissed without an investigation. I don’t believe that was the right thing to do. When Charles Julu and others were arrested, when the former speaker George Korkor and others were arrested, I publicly expressed my views, I have private conversation exchanges between me and madam Sirleaf and as I said trust cannot permit to put those things out – I think I need to keep their confidence. We had internal disagreements. I also had public disagreement with Madam Sirleaf – most of you know that. In 2007 at the youth convention in Nimba, Ganta city, I was still a member of government when I criticized the government – and I worked to help with things – but when you have a government sometimes you work to make things happen. So, there’s a difference. So, every time I hear people in the government saying the government should do this or do that, I often say, you can’t be an advocate because you in the government so you need to find a way to get those things done. I was minister of Labor, I could not say, the workers work needs to be improved. I needed to set the laws into motion so there’s a difference depending on where you are in a particular time in history. When I joined government, I knew that I had the internal influence – to make things happen. When I realized that that influence was diminishing, I knew that it was time to leave. So, we did what we had to do. So, I can tell people that they should have no fear, no worry. I am the same Samuel Kofi Woods. I have not changed and will not change. So, my word is every time we have an opportunity to serve in the public, we should serve well but we should also open our stewardship to scrutiny, be opened to condemnation, we must be opened to criticisms. Our critics are our friends. Our good friends must also be our critics. In Liberia, it is the other way around. People serve in government and they want to be unrepentant sycophants, they want to be political parasites – and I don’t blame them because some of them I talk to them still and they are very young, they don’t understand the dynamics of government but we are willing, we are here to help in whatever way we can help. But as I said, I will be tolerant of different opinion, different views. Those who are critical of me, they have a right to do so, I will listen to them. I know people have accused me. I hear stories of people who accuse me of taking money and resigning; he did this and he did that, but yes, let them say. The only thing is that I always talk about the issue of war crimes and impunity- we must promote a system to accord justice to everyone – those who are accused to be confronted by the accusers. So, the whole issue of war crimes is not for someone to be guilty before they go before the court, no. The whole idea is to give everyone the opportunity to be heard, those who are accused as well as those who are accusing them to be able to sit down to be heard. There shouldn’t be any fear. It’s is also possible that those of us who are being accused of corruption – is part of the collective guilt but there is no objective test to reach those conclusions – people can run around and say this man killed somebody, tomorrow, someone will come and say Samuel Kofi Woods was involved in the war and killed ten persons. So, let me go and subject myself to a legal process that is fair enough and can accord all of us justice both the accused and the accuser. This is why I support a tribunal that will look at economic crimes and war crimes, however it is found. I support universal jurisdiction where people are being arrested for alleged crimes against humanity in various parts of the world but I also support that they must have a free, fair trial for everyone so that they can be heard, so that justice can be done for all, alleged victims, alleged perpetrators and all. FPA: Some viewers are asking whether you will accept a job in the government if you are called upon? WOODS: No! I will not. I will not accept a job in government, I have served in two key cabinet posts and I think I am content. That does not mean I cannot offer advice to the government free without compensation – I will do it. Buti will not accept a job in this government when I am called upon; one because I think, government needs to clearly demonstrate commitment on some of the issues I have raised. I have said to you clearly that our integrity institutions need to be reinforced. I could be a victim if I join the government because of these institutions because if I declare my assets it may not be verified and no one knows how much I am worth and this is why you see George Weah and others are being criticized because if you declare our assets it should be verified and it should be declared earlier on before you even join the government so that it helps people to know what you already worth and real estate properties and other things in government people will know that it is also based on what you achieved prior to now or what you are worthwhile in government. It is good for all of us. So, when people accuse you of corruption, they could be right, they could be wrong but you have subject yourself to those allegations because the system has not been put in place for the checks and balances that are required and I also believe – our legislature should stop being a rubber stamp entity. The way bills are being passed, the way things are being done – I’m glad that there is now a group of legislators dubbed Independent who were able to review the appointment of the ambassador of the United States after everyone spoke against it that it was unconstitutional, the constitution was violated and yet he went on. I’m happy that the legislature is looking at that. I think they should stop being a rubber stamp entity. They are representative of all the Liberian people. They can work with the President. I’m not saying that they must fight a war with the President, they must perform a duty of oversight. I see a lot of things happening. I don’t understand why the legislature has not resolved the issue of the LD16 billion dollars. There was a debate, not only by ordinary Liberians but within the official government circle, various contradictions – on one very important issue – that issue has not been resolved. The legislature sits there – and it is wrong. The judiciary cannot be politically subservient to corruption. Liberians must have justice. These are some of the issues that led to years of war and conflict, these are issues that led to the criminalization of Liberia. I’m afraid that if we continue this way, we will create an authoritarian system of government, a tyrannical regime and it will not be because George Weah want it but it will be because Liberians and the various institutions of government set up, creating the conditions; I’m afraid that a president built a road that started in the previous administration – and somebody put a monument up, put a monument up. The poor young man has not lasted more than a year; you put a monument up there, look at the design of the monument – people holding him standing up in this age and time, look at the design of that monument, it is sad. Again, I stand to be condemned because I say it, you understand but I will express these things because it’s almost one year now – there’s been attempts here and there. I know many of you in the media have attempted to have a conversation – those doors are being closed. George Weah administration must open the doors to all Liberians to have a national conversation on where this country must go. This country is heading in the wrong direction – and we cannot allow it to continue to head in that direction. FPA: You have been very involved in the Catholic Church and the late Archbishop Michael K. Francis was a mentor. Lately there’s been some criticisms that the clergy is not addressing the issues in terms of corruption, the LD 16 billion and what not. How do you see the clergy of those days compared to now? WOOD: Before I get to that, I spoke about the LD16 billion but I never got to the US$25 million. The US$25 million is US tender, not just Liberian money. Finance minister of Liberia went to the public and said that that money was given to money changers to stimulate economic growth. In the President’s annual message, it was not very clear to us, number one, why that method was used for a US legal tender because it raises a number of issues as legal tender. It raises the issue of money laundering, it raises the issue of anti-terrorism financing where you put money on the streets without control and accountability. These things are being raised. So, what impact did it have? Whose lives were changed as a result of the US$25 million? How was the economy stimulated? These are qualitative and quantitative evidence that must be provided – that has not been done. Now, onto the Catholic Church issue. The Catholic Church as an entity, has been going through a number of reforms as an entity and I have been associated with some of those reform since the death of Archbishop Michael Francis – even the Justice and Peace Commission had to go through a period of reform, transformation and transition – and rightly so, Liberians have the right. I’m critical of the church too. I think the leadership of Michael Francis and others – they emerge like myself out of a historic period when there was war going on and they did what they could. These generation of leaders need to do more. I don’t think much has been done to demonstrate fate with the Liberian people and their suffering. There are a lot of discussions going on right now about that in the church. The Justice & Peace Commission has been restructured – a new director has been appointed, we expect that much more will be done soon as a church but the entire Christian and religious community need to do more. We have to be our brother’s keepers. The congregation we have in our various churches, they come to church every day, they are poor people, they are people who suffer. So, I accept the criticisms, I accept the critical views that the Catholic Church has been silent but I think a lot has changed and so there’s a lot of discussions going on about how the church can be effective, about how the church can be more in touch with those languishing at the bottom of the economic ladder. I think I accept the criticisms in good faith and think there’s a lot that can be done by the Catholic Church and various religious communities. I know Rev. Korto Brown is a man I respect, he has been doing his level best but there’s much more that needs to be done. When Liberians say these things, it is not to say they hate the church, it’s not because they are envious of the church, they expect more from the church. They are saying, we love you, we respect you but we think you can do better – that’s all they are saying – and I think this is the spirit even the government must begin to work. FPA: Before we leave you, a viewer is just asking about your views on the impeachment saga of Associate Justice Kabineh J’aneh? WOODS: I’m a lawyer, I have not read all of the documentation regarding the impeachment. I don’t believe it is timely and it is a good thing for the country and we must find a way to deal with it short of removing him from the bench and that’s my personal opinion. I think the government, the legislature should not pursue that – it is not a good path, I think we need to work more on reconciliation in this country – I’m not convince and I could be bias – in terms of full disclosure J’aneh and I were at the university at the same time, J’aneh and I were in the law school at the same time – Kabineh J’aneh is a friend and a brother so I am bias in my view. So, the next thing some one will say, he knows J’aneh and that’s his friend so that’s why he’s saying it but I don’t think that is the right thing for this country at this time. Why do I say this? You know that Kabineh J’aneh is the one of the only judges that differed wrote a dissenting opinion on the matter that appeared before the Supreme Court in the 2017 elections. So, for him to be targeted at this time, it sends a bad signal that this is an attempt to punish him. So, I think we should refrain from that and we do not need a politically subservient judiciary branch, we need an independent judiciary that will dispense justice the right and fair way. The lack of faith and confidence in the judiciary, the lack of faith and confidence in obtaining justice in our courts, contributed to the civil war. People felt they couldn’t get justice to they had to take the laws into their own hands – and this is why I continue to say that violence in our country is not a good thing – and even if it’s done, government as a protector of rights, government, as an agency to ensure the protection of human rights needs to do more. They are not investigating the situation in District No. 13- I’ve seen the alleged violation of the code of conduct – these things are not good for the country. It allows people to begin now to lose faith in the legal process and law and once individuals begin to ascribe to themselves how to obtain redress, it is not good for our country; it is not a good thing for our country, it spells a bad omen for Liberia.